After the scare with Foxie going missing the previous day, I wasn’t sure what I would find in the big pasture the next day. 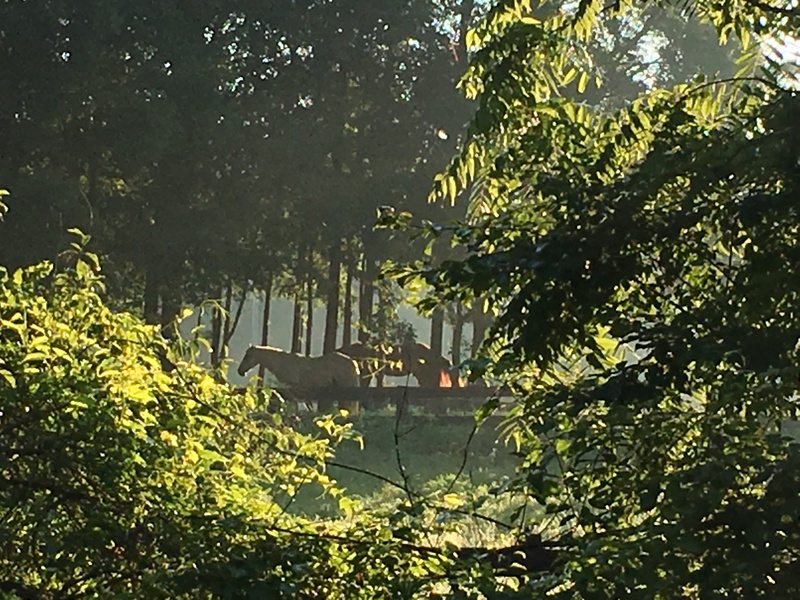 I was so relieved to catch this “first glimpse” of the horses in the morning. They were together, resting under the trees. It looked like a glimpse of Eden. I called to them as I walked up the hill. Both horses turned to face me. It took some time, but eventually Shady took a few steps towards me. We hadn’t established a morning routine yet, and, without April to lead her, I knew Foxie might not walk towards the barn. My second glimpse of the horses. I walked back to the barn and grabbed a feed scoop with some grain in it. This time when I called to the horses and shook the scoop, Shady walked purposely towards me. He liked the sound of breakfast. And Foxie began moving slowly behind him. 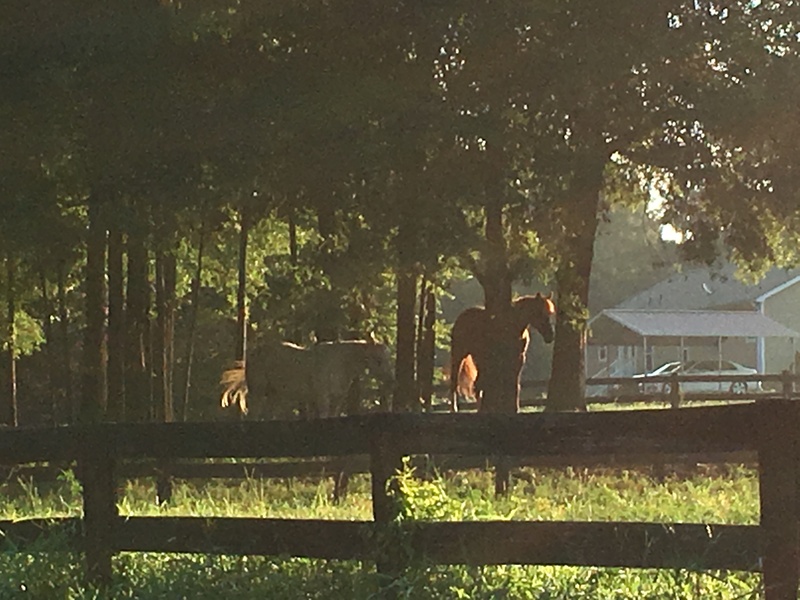 That morning was drama-free, and I enjoyed watching the horses as they ate their grain, and later, as I turned them out into the shaded paddock beside the barn. Maybe we were turning a corner. 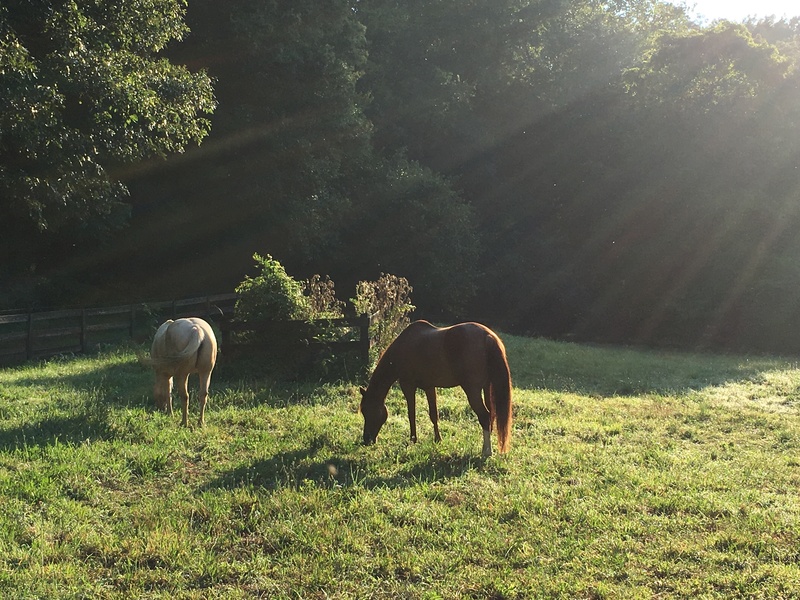 All is peaceful as Foxie and Shady graze in the paddock beside the barn.